Colson’s severe and comprehensive test procedures prove Endura wheels outlast competitive solid elastomer wheels by more than 50%! Colson test results also show that Endura wheels start rolling, keep rolling and swivel easier than our competitors. Even in continuous operation, these wheels produce extremely low heat build-up making them perfect for tow-line applications (precision ball bearings required). 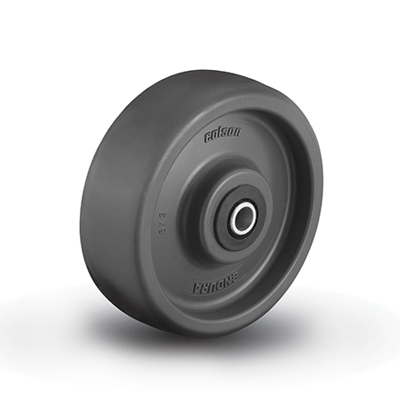 Endura wheels resist most chemicals, oils, greases, petroleum products and solvents. 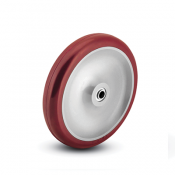 In addition, Endura non-marking wheels offer excellent resistance to chipping, cracking and flat-spotting. Superior impact strength and abrasion resistance further enhance durability.